The Mt Shasta Goddess Temple is a living mandala honoring the female divine with online and in-person divination, ceremonies, and retreats. We create experiences and services to help people connect with the primal female force of life, death, and rebirth. We honor the Earth, especially our beloved Mt Shasta, and make pilgrimage to sacred wells, healing springs, and other holy waters worldwide. The Mt Shasta Goddess Temple offers a combination of online and in-person practices. Our global membership takes part in weekday divinations and monthly online Mandala of the Moon ceremonies, as well as online classes, in-person retreats, and activities offered through our partner The Sacred Well. Priestess Yeshe offers free daily Kuan Yin chanting practice Monday-Friday at 10:30am Pacific on Facebook. Click below to participate in the practice. Mt Shasta Goddess Temple membership is open to all who are committed to goddess devotion. Through Patreon, Temple members receive weekly divinations, sections from Yeshe's forthcoming book PRIESTESS: Maxims for Sacred Service, and online devotionals. Membership begins at $5 per month to access these features, with additional levels and benefits including text support, priestess training, personal sessions, and private retreats. The Priestess of the Mt Shasta Goddess Temple is Yeshe Matthews, a goddess devotee, dharma practitioner, and licensed minister ordained and initiated in several different mystery traditions. Her vision for the Temple is to serve Mt Shasta spiritual pilgrims and goddess devotees worldwide with online and in-person classes, ceremonies, and retreats. Yeshe has dedicated her life to female mysteries, sacred healing practices and the ways of the Goddess. 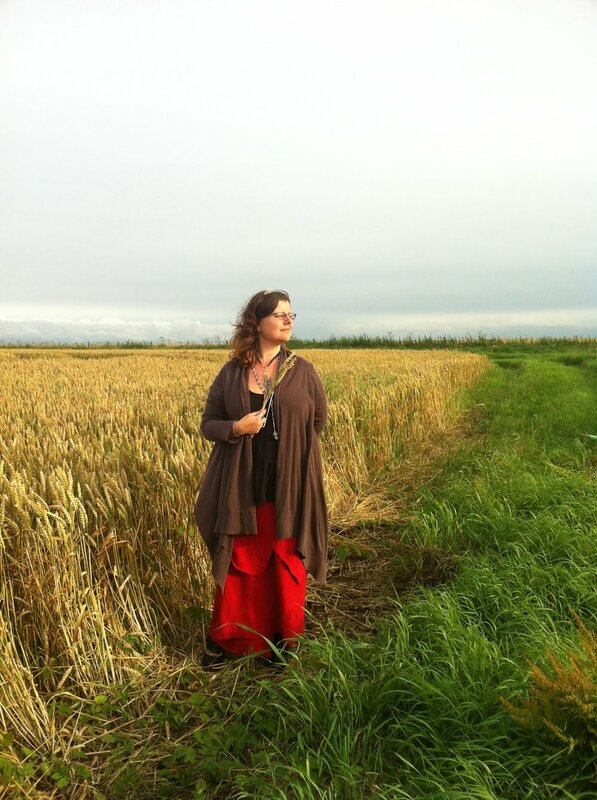 With a Master's degree in Women's History from Sarah Lawrence College in New York, she has studied women's mysticism, shamanism, and matriarchal communities for over twenty years. She brings more than a decade as a Priestess and soul guide to the Mt Shasta Goddess Temple. Yeshe is an experienced, legally-vested wedding officiant, and she would be delighted to perform your perfect Mt Shasta wedding. Facebook group for sharing stories of women's leadership & empowerment as well as goddess research and mythos. Open to all. 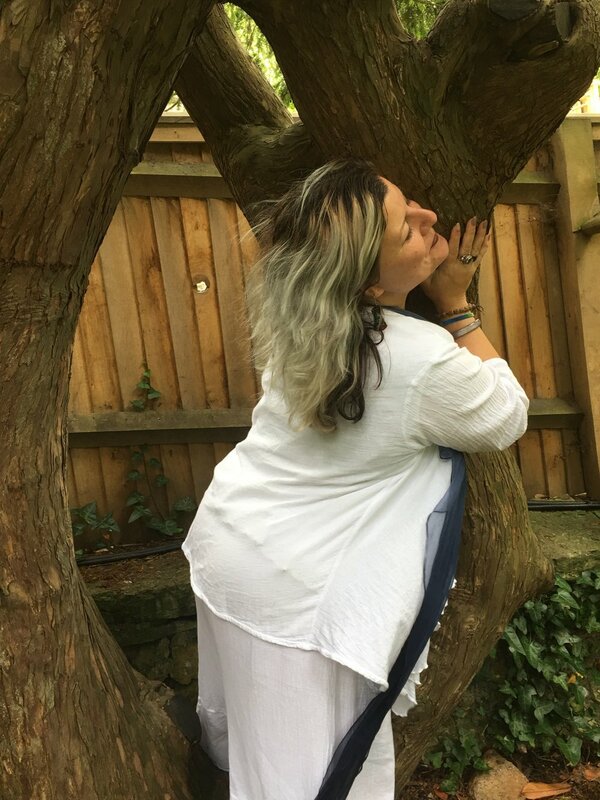 Monthly online Full Moon ceremonies around our lunar themes, including shamanic drum journeys with animal spirits and guides, as well as Dark Moon ceremonies for womyn. For members. Seasonal in-person and online ceremonies honoring the equinoxes, solstices, and Temple holy days with divination, chanting, singing, crafts, and devotional activities. Some events are for members only, some are open to all. 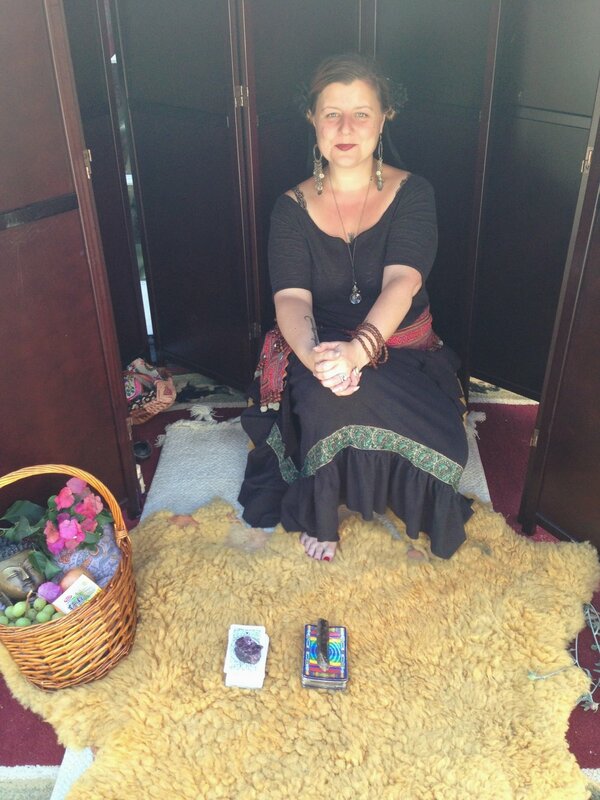 Devotees of the dark mother creating community service initiatives and contemplative practices. Contact their site for membership. Institute for personal spiritual development, female shamanism, women’s religious history, and the preservation of ancient and living lineages of holy women and female practitioners. The community of participants in the Temple's daily online Kuan Yin Practice. Open to all. Facebook group sharing herbal recipes, home remedies, and lore. Open to all. Annual fundraiser to benefit the birthplace of Khandro Yeshe Tsogyal, the first female Buddha of Tibet. Two-year cycle of training for women who wish to become priestesses of the Mt Shasta Goddess Temple, or who wish to start Temples of their own. The first year is a study of shamanic and spiritual tools and practices, the second year is an advanced study in leadership and devotion. Coming Soon: Annual Fundraiser to support the preservation & cultural activities of the Winnemem Wintu first nations people of Mt Shasta. We treat each other with respect. We treat altars with reverence. We make offerings. We protect nature and make use of her resources gently, thankfully. We respect ceremony and tradition. We treat elders with kindness and regard. We raise children to be creative and considerate. We care for our bodies, develop our minds, and nourish our spirits. We look out for one another. We cultivate patience. We allow ourselves to be human. We live and let live. We honor our word. We move from love. We forgive. We thank one another. We dedicate the merit of our practices. We thank our teachers. We value female genius specifically. We observe holy days. We embody gratitude. We take the time for devotion. We create works of art. We embrace the unknown. We live in the magic. We trust Goddess. 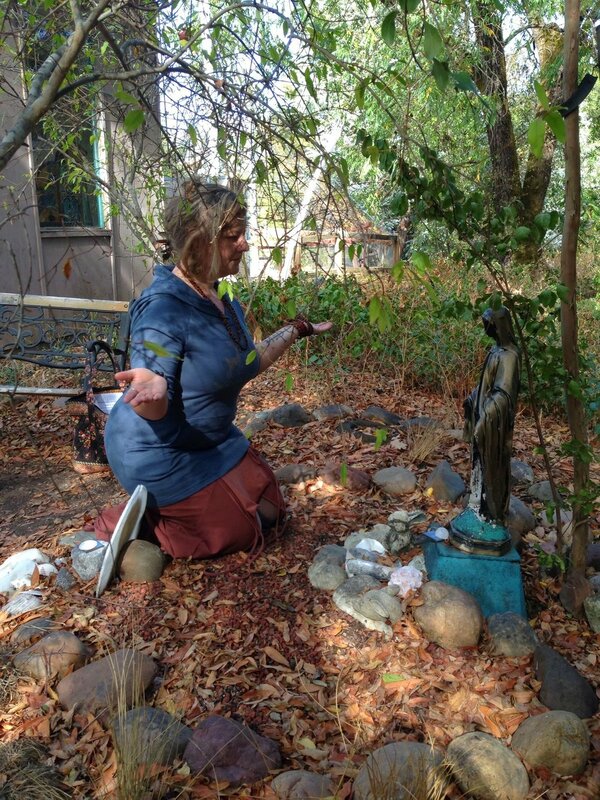 Phase I: Host weekly divinations and monthly ceremonies online for members; collaborate with The Sacred Well to create classes, intimate group retreats and private retreats in Mt Shasta; publish Yeshe's book PRIESTESS: Maxims for Sacred Service; host Mandala of the Sun in-person rituals and Mandala of the Moon monthly online ceremonies for Temple members; begin to gather 1000 statues of Kuan Yin for the Temple shrine. Phase II: Host physical pilgrimages to TukJeChenPo Kuan Yin Temple in Amdo, Tibet; to sacred sites of Virgen de Guadalupe and Santissima Muerte in Mexico City; to Glastonbury for the annual Goddess Conference; and other pilgrimages that may arise. During this phase we will continue to gather 1000 statues of Kuan Yin for the permanent shrine. Yeshe slated to work on her second book. Phase III: Receive a donation or purchase a building and land to house the 1000 statue Kuan Yin Shrine. Create an animal sanctuary in or near Mt Shasta. Phase IV: Build a shrine to Maiden Magu in Crestone, CO.